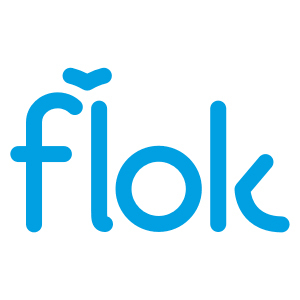 Flok is a customer loyalty rewards app for local businesses. It features a loyalty rewards program, digital punch card, push campaign notifications, email marketing, customer management, and more. In this article, we cover Flok reviews and pricing. Ready to get started? Sign up for free. Users who gave Flok a positive review said that it is user-friendly and customizable. They also noted how flexible and accessible the software is. One user who gave Flok a positive review on Merchant Maverick said that the application’s setup was easy, and he likes that he can customize its features. He also finds it appealing that he can access customer data anytime, anywhere and that it integrates well with Facebook and Twitter. Users who gave Flok a negative review complained about the company’s billing and subscription renewal issues. They also complained about the inefficient customer support that they experienced. One user who gave Flok a negative review on Capterra mentioned that the company has a very unresponsive customer service especially when it is about billing concerns. He was also disappointed with the automatic renewal of subscription without being informed first. Flok pricing has three basic plans: Starter ($16.58/month), VIP ($66.58/month), and Ultimate ($99.91/month). The main differences between the plans are the number of loyalty club members, push messages, and emails included. Only the Starter plan can be paid monthly. VIP and Ultimate are available in annual packages only. The system features a loyalty rewards program, digital punch card, push campaign notifications, email marketing, customer chat, customer acquisition, social media activity, customer management, beacon device, and more. The company also offers an enterprise level subscription, but you have to contact support to get pricing information. Ready to get started? Sign up for free. What tools does Flok offer to help make businesses grow? Flok offers a selection of posters, web banners, Facebook covers, and table tents to promote a client’s loyalty program. Does Flok offer useful resources to support beginners? Flok offers a list of FAQs and video training to assist beginners. Have you read these Flok reviews and are still not sure if it’s the right fit for you? Read our reviews of all top customer loyalty rewards providers or check out one of these three Flok competitors.